Sword-like leaves, an aeonium’s towering rosette, a cacti evoking visions of the desert Southwest: Check out the diversity of species and form here. It’s just a quick strip of soil, a plantable space that could be easily overlooked. 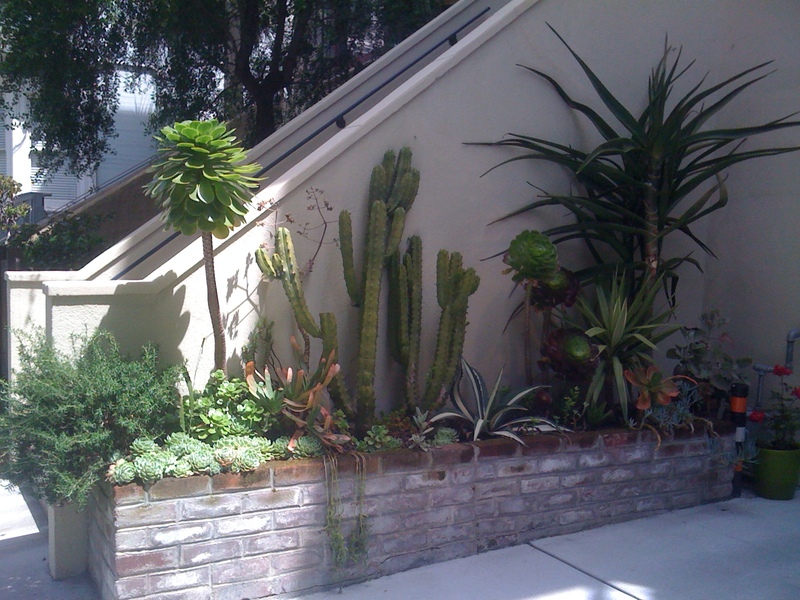 The variety in height makes each of these plants pop — like succulent sculptures up against the wall — even though they’re all essentially the same color. And since all these plants are experts at storing water, the resource use and maintenance is about as low as it can get.